French drains can require a lot of effort with only marginal effectiveness for many reasons. 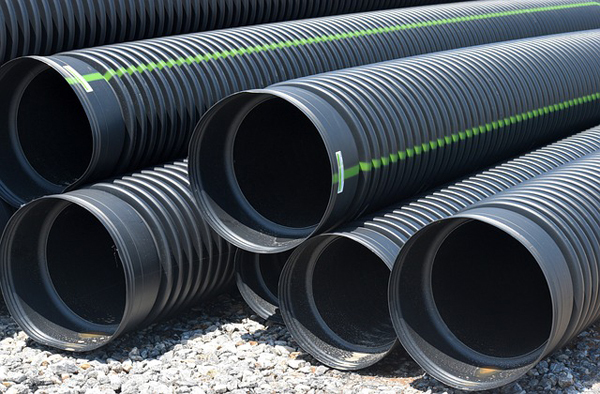 Most descriptions of a french drain involve a slotted or perforated pipe, a trench, geotextile fabric and gravel backfill. To operate properly, the drain must have adequate slope and a place to open onto the ground, into a drain pipe or somewhere else where water can exit. Unfortunately, this fact oftentimes is overlooked. Properly constructed, french drains will work well to transmit water from the pipe to the exit of the pipe; however, they are not very efficient in dewatering poorly drained soils. Adequate fall means at least 2 ft lower per 100 ft of pipe or 0.25 in. per foot of slope. In many cases, inadequate slope to drain the area is the original problem that usage of a french drain aims to solve. Once a 4-in. drain pipe is placed underground, it should be covered with 2 in. of soil and attempts should be made to have ample slope to drain the pipe. If these conditions are not met, it would be better to allow the water to drain across the surface. For these reasons alone, a french drain can require a lot of effort with minimal effectiveness. Another reason why a french drain is not always an effective solution relates to the basic properties of water. Water “sticks to itself” by a process called cohesiveness. A simple science class experiment in which a penny is placed on top of a glass of water makes the penny float. It does not really float, but rather rests on the surface tension of the water. Once a drop of soap is placed into the water, the penny sinks because the surface tension gives way to the weight of the penny. In much the same manner, rainfall sticks to itself and to the surface of soil, gravel, sand or whatever other surface with which it comes into contact. Water would rather stick to something than simply fill a void. Thus, water usually sticks to the gravel in a french drain rather than filling the voids. In this manner, the only time that the drain pipe fills with water is when there is enough water to stick to the surface of the gravel and be heavy enough to fill the voids and subsequently push over into the pipe. Once again, there must be enough fall to allow the water to drain out of the pipe; otherwise you are allowing the water to sit underground rather than on top of the ground. Sometimes this is the only way to work with a drainage problem, but it is not the best way because it does not transmit the water away from foundations, structures, pools, patios, etc. A further issue with the structure of a traditional french drain is what is called “blinding” of the geotextile fabric. This is the process by which small particles of clay and silt are stopped by the fabric and, over time, the fabric becomes stopped up and will no longer allow passage of water. When enough sand, clay or silt gets past the fabric, the gravel spaces fill and the effectiveness of the french drain ends. This is why most experts state that a french drain is not a long-term solution to a drainage problem: You have to dig it up and reinstall it every eight to 10 years. What to do when you have a drainage problem? The best solution is to drain the water across the surface using a minimum of a 1.5% to 2% slope. If the water of concern is standing water after a rain event, you may be able to use one of the newer products such as a sand-filled trench with a slotted pipe conveyance. Regardless, you still need to empty the pipe somewhere. With storm water or surface water from rainfall, runoff or other sources, you will need to use surface runoff (best practice), underground pipes with adequate fall and discharge points or a type of containment and retention or sump system. Without one of these solutions, you run the risk of overtaxing the system and backing up water where you do not want or need it. Russ Adsit, FASLA, is executive director of the International Erosion Control Assn. Adsit can be reached at 800.455.4322 or by e-mail at [email protected].